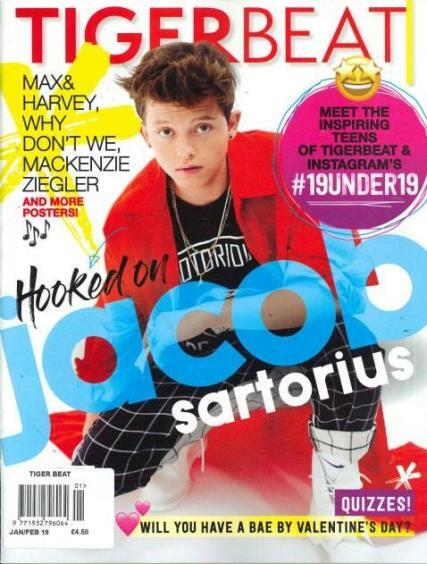 If you are looking for all the latest from the world of teen celebrities, then you have to pick up the Tiger Beat magazine, the most popular teen celebrity magazine of the United States. This American fan magazine was first published in 1967. It is very popular amongst the young people in the country, especially the adolescent girls. Full with gossip, movies, fashion and music, it has had a great readership for almost 4 decades now and continues to be so even today. Tiger Beat magazine focuses on gossip, rumors and news about the young celebrities from the world of movies, music, fashion and the glamour industry. The magazine is best known for its “cut and paste” and collaged photographs on its cover. The covers have focussed on some of the most popular celebrities of their times. From The Beetles and Beach Boys in the initial issues to Selena Gomez, Miley Cyrus and Justin Beiber in the latest issues, the focus is on the most popular and happening teen celebrity of the times. The magazine for the young girls and you can easily see that in the content, photographs and slang. The bright splash of colors and the cool photography appeals to its readers. The most happening and the most glamourous photographs find their way into the pages of this gossip magazine. Young girls can also find some cool fashion tips and tricks in here. Fashion advice by their role models and make up tips are popular amongst teenage girls. Plan your next shopping spree based on what’s in and what’s out. If you think it is cool to know about the latest and the juiciest rumors straight from the young guns of the glamour industry, subscribe to Tiger Beat Magazine today. This bi-monthly magazine will provide you all the fodder you need. This magazine is a perfect magazine for teenagers. All posters and articles are amazing. I've ordered it as a gift for my friend. She liked my gift so much! Thank you so much!